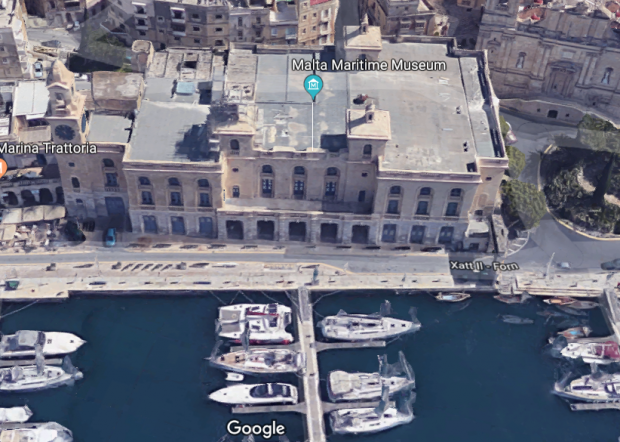 The Malta Maritime Museum in Vittoriosa will increase the total area of its public museum and exhibition space, and extend its online outreach with the digitisation of 2,600 objects from its collection. The total area of visitors’ facilities, museum and exhibition space at the Malta Maritime Museum will increase to 1,629 sq.m. from the current 1,086 sq.m. This €2,015,529 project is being partly financed by the peoples of Iceland, Liechtenstein and Norway through the EEA Grants. Cultural heritage has featured regularly as a priority under all programming periods for EEA and Norway financial mechanisms. In the early 1990s, major works were undertaken to restore and adapt part of the Old Naval Bakery to serve as the Malta Maritime Museum. To date, only a relatively small percentage of the entire building is serving as a museum. In recent years, Heritage Malta commenced an ambitious restoration programme to restore the external fabric of this historical structure. The agency has completed the restoration of one turret, the front and side façades, and is in the process of finalising the restoration of the back façade, and all the apertures through national funds. The new project will consolidate the building through structural interventions, which will recreate the spatial environment that was originally designed by renowned British architect William Scamp back in the 1840s, while also introducing new internal areas and spaces. Two of the major interventions will involve the removal of the remains of one of the silos built during the later British era and the reconstruction of the original arches/vaulted spaces, along with the repair and restoration of the uppermost ceiling of the same wing of the building. The elimination of the silo will provide a generous capacity to create an accessible and adequate foyer area at ground floor level, which will include a reception, a museum shop and temporary exhibition spaces. The introduction of new spaces at first and second floor levels will facilitate the increase of artefacts on permanent display and enhance the public’s interaction with the exhibits. A larger exhibition space is going to be provided in a silo, which will be retained and split into four levels. The digitisation component of the project aims to create a fully fletched e-accessible database of rich information, knowledge, and various forms of digital media of Malta’s cultural heritage assets, focusing on the Maritime Museum collection of models and navigation instruments. This capital project, which will be finalised in 2022 is envisaged to lead to an annual increase of another 5,000 visitors and to a wider outreach towards the digital audience of the Malta Maritime Museum.